When you’re a Facilis customer, you can rest assured that you’ll have access to some of the brightest technical support experts in the industry. 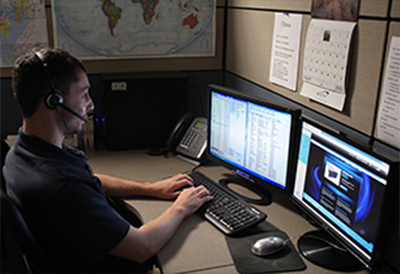 Facilis carefully handpicks and thoroughly trains all of our support staff to ensure exceptional personalized customer assistance from install through to everyday operational inquiries. Our team of seasoned pros takes every action to ensure that your shared storage network is optimized, operational and producing high-quality content at all times. Download instructions and tech support notes are provided below for your reference. Please contact customer support for complete download login information. To ensure a successful upgrade, please obtain a valid version 7.1 license, as the new version will not run without it. For complete details on licensing procedures and hardware requirements, please reference the version 7.0 upgrade instructions provided above. At Facilis Technology, our team of experts takes great pride in ensuring the highest-quality product when building each TerraBlock, HUB, 8D, TX16 and T8 in-house. Upon opening a group of TerraBlock systems, this commitment to quality is evident – from the identically aligned zip ties across each system all the way down to the torque used for each and every screw and stand-off. We go to great lengths to ensure that our systems are highly reliable and hardened for the demands of the media and entertainment industry. 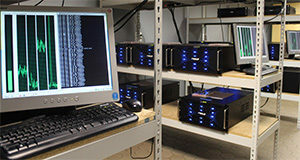 We partner with elite hard drive manufacturers to provide RAID Edition, Enterprise drives in all of our systems. Leveraging custom drive head stress tests, we safeguard the durability and quality of all drives we deliver to the field. No TerraBlock, HUB, 8D, TX 16 or T8 leaves our building until every drive has been tested thoroughly. The TerraBlock in particular also contains a highly sophisticated drive error reporting method that immediately alerts users to drive and block errors. Drive recovery can be scheduled proactively and without interrupting production.